Cat Lantigua is a writer and activist committed to empowering women and enabling millennial greatness. Through her blog, she candidly expresses her mind on social issues and also publishes inspiring interviews with some of the worlds most promising young women. 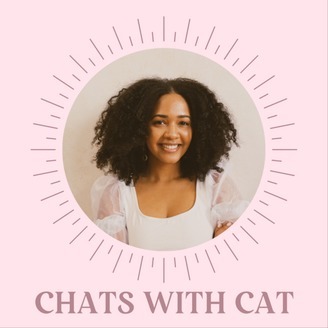 Now-Cat is providing an honest peek into her journey of manifesting a fulfilling and purposeful life in hopes of inspiring her fellow millennials to embark on their own course of self-exploration. 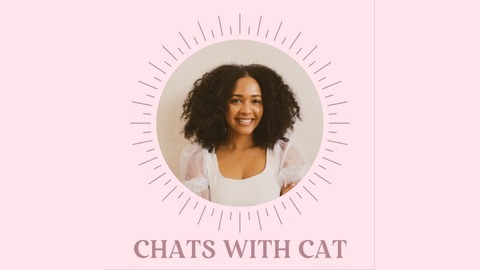 She discusses topics related culture, relationships, self-improvement, and everything in between!Cat believes the most authentic way of building true connections and invoking positive change is by being vulnerable in sharing one's unique perspectives. Join her as she uses her voice to passionately uplift and encourage others, while also navigating through life's countless lessons.Follow Cat in between episodes by following her on&nbsp;Twitter @catlantigua &amp; Instagram @cat.lantiguaFor messages about the show email cat@catlantigua.com. Cat chats with reiki healer, Maryam Ajayi! They cover all sorts of topics including what led Maryam to facilitate energy healing, her life transitions, wellness for POC, and so much more!